A new iOS version that is ‘iOS 11’ is here and all the iOS device users are looking forward for more amazing features with it. As a result of which, more and more people are dying to get this new software. 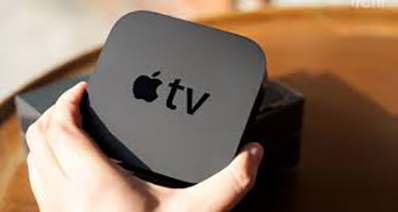 However, there are many who expressed the inconvenience while installing the new firmware. One of the problems that are reported is many users can't update to iOS 11. And that’s why we come here to tell you some of the possible situations that can occur and their solutions as well. Therefore, try the following fixes and get rid of this headache. The first situation for not able to get iOS 11 update may be the compatibility problem. Many users forget to check in the excitement that if their device is supportable or not with the new iOS. Therefore, for all the keen users, it is advisable to please check if your device model is compatible to the newest update or not. This is because the iOS 11 update is not compatible with all the devices. Only iPhone 5s and later devices are supported with it. So, if you are running the older devices than 5s like 4s, 5 or 5C, you unfortunately will not be having the opportunity for iOS 11 update. Check the compatible devices below. Installing iOS 11 needs 1.9G on your device. 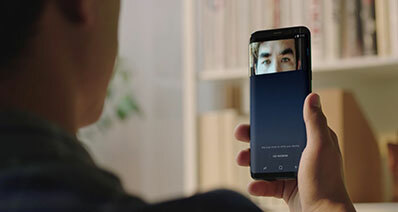 Full storage or insufficient storage can act as a hindrance in many things say updating or installing an app and therefore, space issue is a yet another issue that comes many times while updating to the new iOS. Hence, if you can't update to iOS 11 and receives a message that you don’t have enough space in your device, free up some space in it. In order to get the iOS 11 update smoothly, for example, you can do manual deletion of some data by tapping on “Allow App Deletion” or removing cache data can also bring some pace in your device. Also, you can remove text storage, web data, junk files or the apps that are unused in your device. Another issue that can stop you for iOS 11 update is the frozen device. Yes, your device may get frozen on updating to the new iOS. But you need not to be concerned since we are always here to help you out. If you are unable to update to the new iOS and your device is going through freezing issue, you just need iSkysoft Toolbox – iOS System Recovery . It is the most impressive recovery tool that will surely fix this frozen issue. Don’t believe? Keep reading and you will believe. The tool helps in fixing iOS problems in just few simple clicks and all done safely. 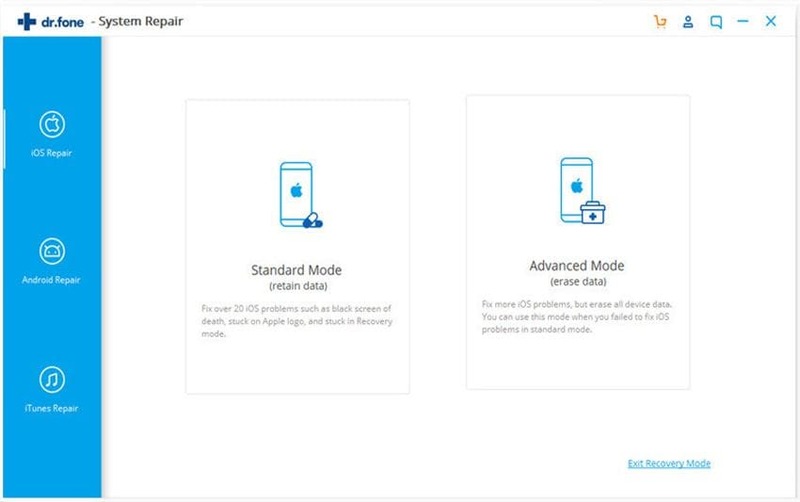 Not just frozen iOS device, the tool can help in fixing various iOS issues like iPhone stuck in DFU mode, Apple logo, black/white screen, restarting endlessly and many more. Your device will be back to normal soon with no loss of data and information from the device if you use this software. It has a trial version that is present for both Mac and Windows computer. It’s the safest tool ever and is compatible with almost all iPhone, iPad or iPod touch devices. Please download the software, install it and launch it afterwards in your computer. When you launch, an interface will come with some options where you need to click on “System Recovery”. 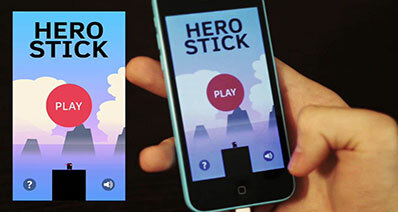 Now, using a USB cable to connect your unhealthy iPhone to the computer and click on “Start” after successful connection. Once starting the software, check your device’s information the software is showing after detecting the device. Then, an important step is to download the latest firmware which the software will offer you. You just need to hit the “Download” button and you’ll get the new firmware. 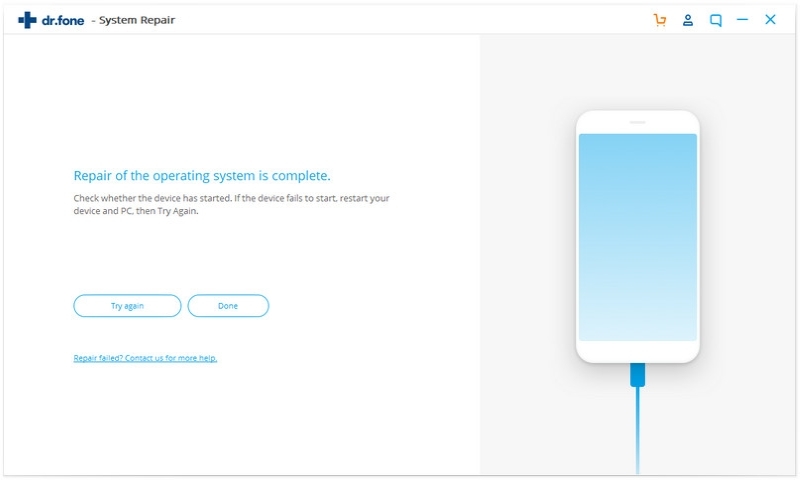 Lastly, when you will download the firmware, your device will go under the process of fixing automatically and the interface will notify you once the process gets completed. That’s it! Your device is fixed now. Sometimes, this issue can also be faced by people while updating to the new iOS. 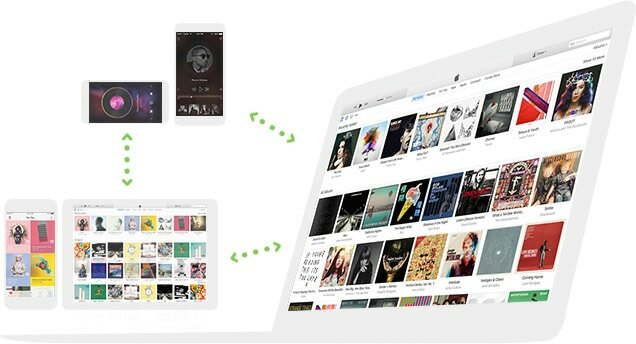 Since iTunes is one of the best ways to update to the new software and many people prefer it. If you can't update to iOS 11 because iTunes is not able to recognize your device, don’t get upset and curse your gadget. Try fixing the issue with iSkysoft iTrasnfer for Mac. 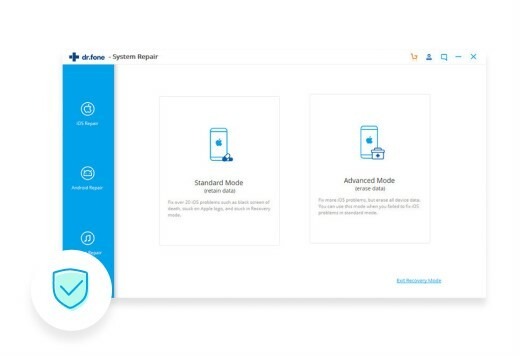 iSkysoft iTransfer is an all-in-one phone manager tool that comes with amazing quality and no risk. It is a versatile tool that helps the users in many ways which are discussed in the following section. 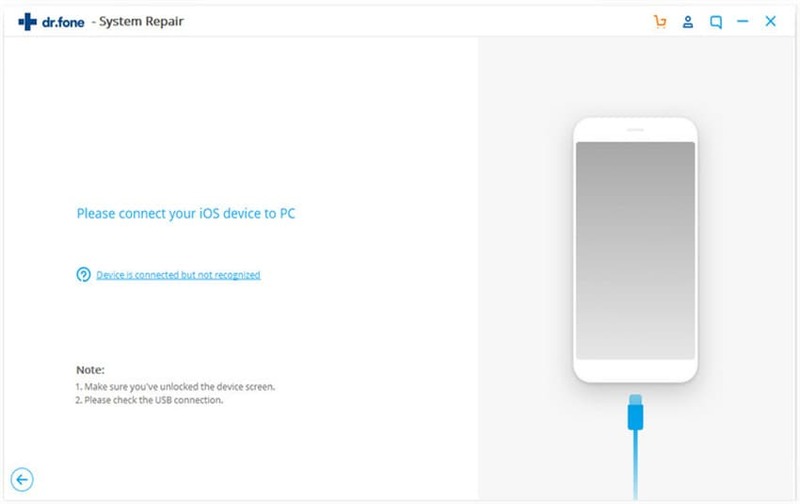 It can fix when your iPhone/iPod/iPad is not able to connect with the computer. This tool helps in backup photos, playlists, music, podcasts and many more to your iOS or Android devices. You can easily rebuild your library within just few clicks with iSkysoft iTransfer. A fun can be created with this tool by its GIF maker function. You can create your own GIFs. You can transfer your files effortlessly between iOS and Android devices. It’s a fully clean tool with no virus or malware attacks. Here’s the step by step guide when you can't update to iOS 11 because your device is not recognized by iTunes. 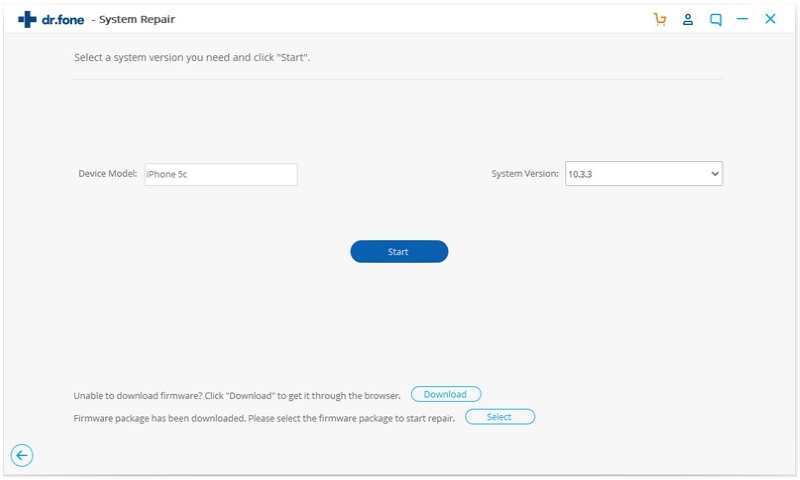 Download, install and start the software and then connect your iPhone with the PC. From the navigation bar, click on “Toolbox” and look for “FIX IOS/IPOD”. Hit on “Start Repair” and the software will scan the problem in your device. Maybe your media database will be damaged so just click on “Start Fixing” button and your problem will be solved. After this, try to connect your device to iTunes again and check if the problem is gone or not.